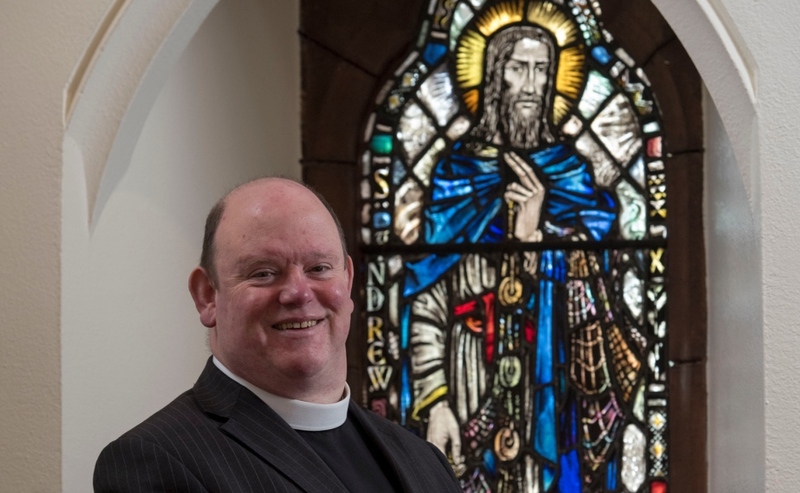 The Moderator of the General Assembly is embarking on a tour of Dumfries and Galloway tomorrow to see some of the “good work” being carried out by Church of Scotland members. Right Rev Dr Derek Browning said he was “looking forward” to meeting parishioners over the next nine-days to get a flavour of their tireless efforts to enrich their communities. Among the Dumfries and Kirkcudbright Presbytery tour engagements is a visit to the headquarters of the world renowned Halo Trust, which is based at Carronfoot near Thornhill. Dr Browning will learn more about the organisation’s landmine clearing work in some of the most dangerous countries on earth. He will visit the new Dumfries and Galloway Royal Infirmary in Dumfries to hear about the church’s work to care for the spiritual needs of patients, their families and staff. Dr Browning will be shown around Dumfries Prison by Chaplain, Rev Neil Campbell, and will visit Dalbeattie Learning Campus, which comprises a secondary school, primary school and nursery. He is visiting Dalbeattie Church Hall to see the Musical Minds group, which provides music therapy for people living with Alzheimer’s disease and dementia. He is giving a talk to members of Dunscore Church, which was recently refurbished and includes a heritage centre. It is partly dedicated to Jane Haining, the brave Kirk missionary who gave her life to protect Jewish school girls during the Holocaust. Dr Browning said: “I am looking forward to my visit to the Presbytery of Dumfries and Kirkcudbright to learn more about the rich and varied ministries in this part of south-west Scotland. “It will good to visit the new Dumfries and Galloway Royal Infirmary to see its facilities and to learn about its chaplaincy work. “I'm also keenly anticipating a visit to the headquarters of the Halo Trust to learn more about their worldwide work removing mines from the ground in conflict areas. Dr Browning said he was looking forward to visiting the Independent Living Support charity in Dumfries, which helps people to re-engage with their communities. Over the next two Sundays, Dr Browning will be guest preacher at Dalbeattie Parish Church and St Michael’s and South Parish Church in Dumfries. Other engagements include attending a special service at Kells Church in New Galloway to commemorate the life and witness of the Covenanters. Dr Browning will take part in a walking tour of some of the most important sites connected with Scotland’s Bard, the poet Robert Burns, in Dumfries. And he is visiting Ruthwell Church in the village of Ruthwell outside Dumfries to see a 18ft-high Anglo-Saxon monumental cross, which is thought to date back to AD 680. Dr Browning said visiting church congregations around Scotland and overseas was one of the “privileges” of being Moderator. “I am looking forward to meeting with Church people in the area, listening to their stories, affirming their commitment, and letting the rest of the Church know about the work that is being carried out here,” he added. “During these visits I get to hear about the highs and the lows of congregational life and the challenges that people face,” he added. “I get to see the resilience and faithful imagination that people use in addressing issues around being a living, breathing faith community in the 21st Century. “Amidst the many frustrations of Church life today, good work continues to be done by good people, and that is something to celebrate." Lily Stevenson, Moderator of Dumfries and Kirkcudbright Presbytery, said local church members were “delighted” that the Moderator was visiting. “Hopefully he will enjoy the varied programme of events we have organised for him,” she added. “Congregations will find out more about the work undertaken in the Church offices in Edinburgh and have the opportunity to speak with the Moderator and share their frustrations.